Honor, online the sub-brand of Huawei has announced the global sales of its X series of Android smartphones which includes the Honor 4X up to Honor 7X. 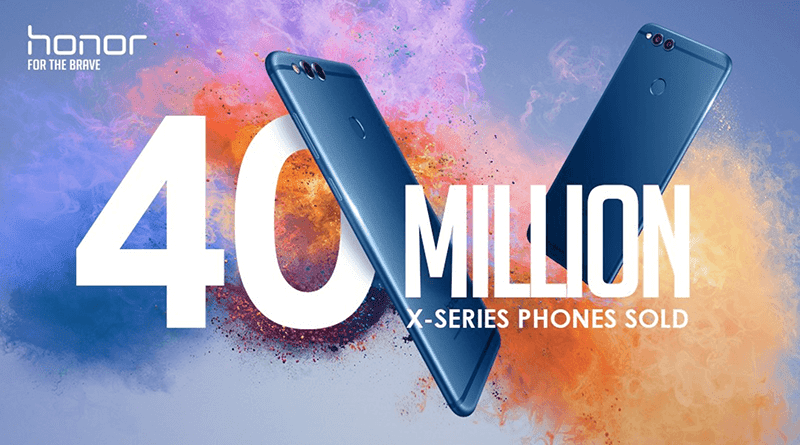 Huawei claimed that the Honor 4X to Honor 7X mid-range Android smartphones has hit the 40 million milestone! In addition, Huawei also claimed some sales numbers of the newly launched Honor 7X. Within the first two hours of the November 11 sale in China, Honor sold 30,000 units of the said device. The 20,000 units were also sold out in one our in each of the three flash sales in India. Huawei also stated that the sales in London for the first two weeks of the Honor 7X were double that of the Honor 6X and triple in Russia. Those figures made Honor one of the top 3 brands in the country. According to a press release, Honor 7X achieved a 250 percent growth in pre-paid orders from December 5 to December 14 in the United States versus the sales of the Honor 6X during 10 days of its debut. Meanwhile in the Philippines, the Huawei Nova 2i also known as the Honor 9i is also a big hit.